Our guide on starting a haberdashery covers all the essential information to help you decide if this business is a good match for you. Learn about the day-to-day activities of a haberdashery owner, the typical target market, growth potential, startup costs, legal considerations, and more! Selling hats, which is what haberdashery businesses do, is a big business. Lots of people wear hats, for practical reasons and as fashion statements, and they spend a lot of money on their headwear. According to IBISWorld, the hat and caps retail industry has an annual revenue of $3 billion, and it continues to grow each year. Anyone who has an eye for fashion and likes headwear might be well-suited for running a haberdashery business. The work requires a knowledge of different fashion trends, and business owners frequently interact directly with customers. Business owners can start a haberdashery business while working at a full-time job. One hat store owner, Corinne Prevot even began a business while in high school, and then she grew the business while in college. What happens during a typical day at a haberdashery? A haberdashery business owner spends their days assisting customers who want hats, selecting new styles to carry, ordering more inventory and restocking items when shipments come in. They also schedule manage any employees, promote their business and tend to administrative tasks, such as paying bills and filing taxes. A haberdashery business’ ideal customer is someone who is someone who has a strong sense of fashion and discretionary income. Such customers often purchase multiple hats, although not necessarily all at once. How does a haberdashery make money? A haberdasher business makes money by selling hats. Hats are sold on a per-item basis. What is the growth potential for a haberdashery? A haberdashery business can have a single storefront or website, or it may sell hats nationally and internationally through multiple outlets. Hatbox in Austin, Texas and Henry the Hatter in Detroit, Michigan are two examples of local hat stores. Goorin Bros., Inc. has hats at stores in 17 different states and Canada. An example of a large haberdashery business is Lids, which has stores throughout the United States and Canada. What are some skills and experiences that will help you build a successful haberdashery? In order to carry hats that customers are interested in buying, haberdashery business owners have to remain abreast of fashion trends. The Hat Magazine and HATalk are two industry-specific publications that business owners may benefit from subscribing to. Owners may also get insights and ideas from magazines that are written for their customer base. For instance, a business owner who primarily specialized in hats that middle-aged women wore might want to subscribe to More or O, the Oprah Magazine. What are the costs involved in opening a haberdashery? Haberdashery businesses’ startup costs vary a lot. For example, Prevot started Skida began by offering cross-country skiing hats that were made from lycra. The fabric cost her $12 per yard, and each yard yielded four to five hats. She used her own sewing machine and sold them in person at events to keep her startup expenses as low as possible. A haberdashery business that has a storefront and offers custom-embroidered hats could cost much, much more to open. Hat Zone Inc. in Missouri paid under $60,000 for a 300-square-foot storefront in a mall, but the store still had to pay tens of thousands of dollars. When offering custom-embroidered hats, a hat store also needs an embroidery machine, which can run between $18,000 and $60,000. Business owners can keep their startup expenses low by beginning their business in their home, like Prevot did. 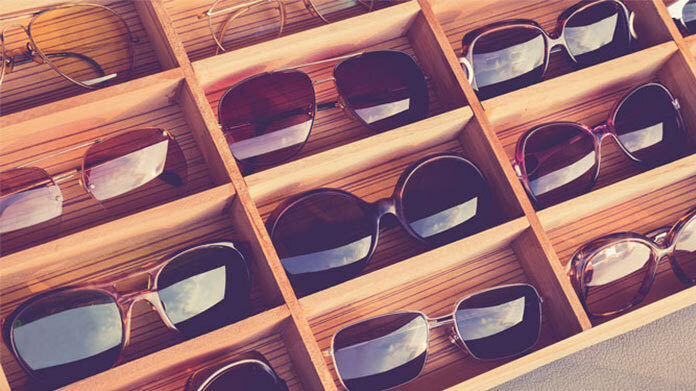 Hats can be stored at home and sold either through other retailers or an ecommerce platform. Owners who start with a storefront should look for a small retail space. 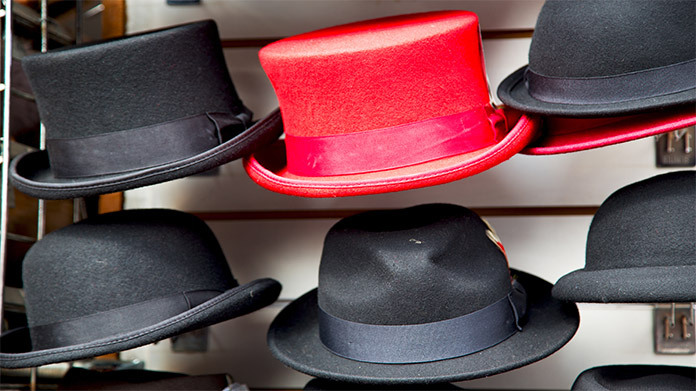 Since a lot of hats can be displayed, hat shops usually don’t need a lot of square footage. Lids, for instance, started at a mall kiosk and now has 200 storefronts. What are the steps to start a haberdashery? Form a legal entity. Establishing a legal business entity prevents you from being personally liable if your haberdashery is sued. Open a business bank account. A dedicated checking account for your haberdashery keeps your finances organized and makes your business appear more professional to your customers. What are some insider tips for jump starting a haberdashery? Haberdashery business owners who outsource the production of hats should be aware of suppliers’ business practices. For example, many businesses in China close for the Chinese New Year, which is a 15-day festival. Hat stores that rely on Chinese manufacturers may not be able to order more stock during this time. Business owners who plan on making their own hats ought to carefully consider all of the costs associated with doing so. Specifically, they should take into account all materials and labor required, as well as any depreciation for equipment used. One of the most effective ways to market a haberdashery business is by offering free hats to influential figures. Prevot used this strategy to grow her business, giving up-and-coming skiers free hats to wear when they trained or competed. Hat stores that offer non-athletic hats, such as bowlers or top hats, can look for lifestyle bloggers who have a lot of followers and might be interested in a hat. Many successful haberdashery businesses distinguish themselves from the competition by specializing in a particular style. For example, a hat store might carry women’s hats, hats from a particular decade or even just one kind of hat. Many hat store can initially be run by one person part-time. As a business grows, however, it may become necessary to hire an employee to help with day-to-day tasks. An employee can be hired once a business generates enough revenue to pay the employee’s salary. As the business’ revenue continues to grow, more employees can be brought onboard. Certain state permits and licenses may be needed to operate a haberdashery business. Learn more about licensing requirements in your state by visiting SBA’s reference to state licenses and permits. Haberdashery businesses may also wish to look into applying for a resale certificate, which allows retailers to purchase goods intended for resale without paying sales tax. A haberdashery business is generally run out of a storefront. Businesses operating out of a physical location typically require a Certificate of Occupancy (CO). A CO confirms that all building codes, zoning laws and government regulations have been met. Before leasing, confirm that your landlord has or can obtain a valid CO that is applicable to a haberdashery business. Review all building codes and zoning requirements for your business’ location to ensure your haberdashery business will be in compliance and able to obtain a CO. Different styles of hats command different prices. Prevot began selling her hats skiing hats for $20 but has since raised the price of many to $32. Lids prices many of its hats similarly, usually between $20 and $50. Non-sport hats often command much more. Men’s fedoras and bowlers, for instance, frequently cost between $90 and $200, and fancy women’s hats can run upwards of $400. Both Henry the Hatter and Goorin Bros., Inc. have hats in these price ranges. What are the ongoing expenses for a haberdashery? A haberdashery business’ ongoing expenses include utilities and rent (for physical locations), website costs (for ecommerce stores), the cost of additional inventory and employee expenses. How much profit can a haberdashery make? Many haberdashery businesses increase their profitability by selling other, related fashion accessories. Lids, for example, has begun selling jerseys and other sports apparel. Henry the Hatter, which specializes in very different hats, offers canes.